As new business models emerge, we see more innovative buildings, a merging of land uses and more social and communal spaces. Southeast Asia cities are growing faster than in many parts of the world. Urban populations are growing at 2.2% while economies expand at 5% annually. The population is young with a median age of just 30 years old. 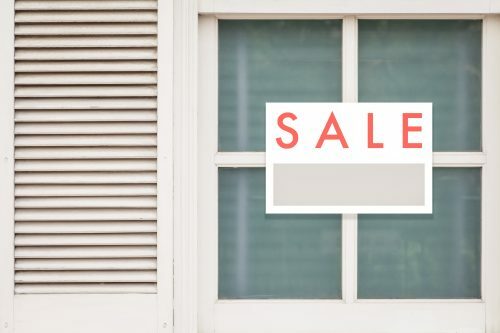 Domestic consumption is soaring as the middle-income population in Southeast Asia is expected to grow by 9% CAGR by 2020. Mobile penetration is growing and there are 300 million Facebook users in Southeast Asia, more than in any other continent. The urban environment in Southeast Asia is transforming to cater to the changing needs of youths in Southeast Asia. Mega projects integrating live, work, play and learn elements in a “city-within-a-city” allow for seamless connectivity and convenience. The large scale of these communities allow developers to provide unmatched amenities in the form of bio-diversity gardens inspired by concepts such as rice terraces and cloud gardens, waterfalls, civic plazas, art venues together with greenery and open spaces. Smart infrastructure such as district cooling, centralised security or energy management systems are incorporated. Marina One in Singapore developed by M + S Pte Ltd, One Bangkok developed by TCC and Frasers Centrepoint Limited and One Bonifacio High Street in Philippines by Ayala Land Inc are good examples. Young consumers with strong spending power and a taste for the eclectic are inspiring unconventional shopping malls in Southeast Asia. Group. Not retail, nor lounge, nor office, nor restaurant, yet all of the above, the space has eight zones which are open to families and individuals taking a rest, buying a book, working on a pitch or having a cocktail. Within the co-working, co-living and learning sphere, new models are springing up all over Southeast Asia. At the Lee Kong Chian School of Medicine’s new campus in Singapore, experiential learning occurs using simulated hospital wards, plastinated human specimens and virtual bodies. Many co-working spaces slant towards bringing us back to nature or taking inspiration from nature. Hubud in Bali, Indonesia, is fully built out of bamboo and set in verdant paddy fields while Toong in Hanoi, Vietnam, features an art gallery, meditation room and a bar and games room. Popularity has grown and they now have five outlets in Vietnam. Workers in Alexandra Technopark in Singapore by Frasers Commercial Trust will, in the near future, enjoy cycling tracks, end-of-trip facilities and farm plots for growing their own vegetables within the compound. In South Quarter in Jakarta Indonesia by PT Intiland Development, the new office buildings are orientated to minimise solar energy absorption and incorporate a louver design inspired by traditional rattan baskets. 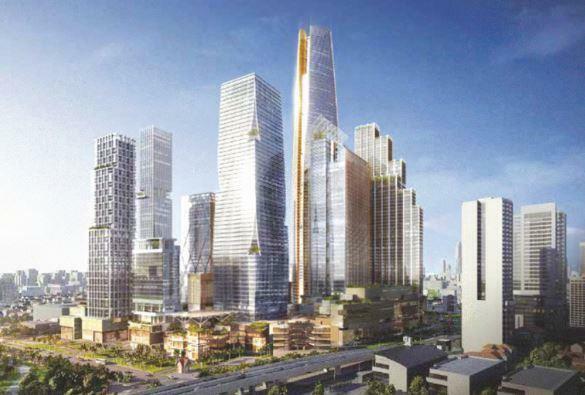 Developed by a joint venture between Malaysia’s investment fund, Khazanah Nasional and Singapore’s investment company, Temasek Holdings, Marina One will be the latest urban model to be added to Singapore’s new downtown in 2017. Comprising a mix of offices and residential apartments, Marina One will boast of Singapore’s only integrated development in the CBD with a biodiversity garden at its core. 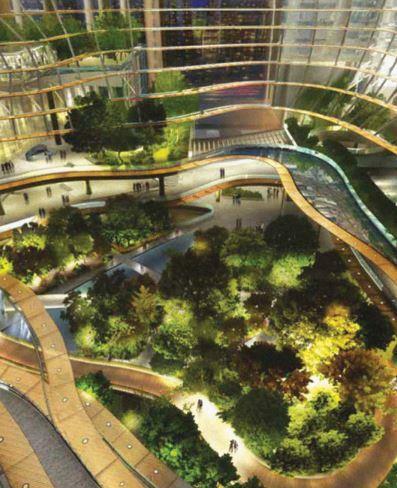 Aptly named the “Green Heart”, the 65,000-sq-ft bio-diversity garden will stretch from level 1 to level 4 of Marina One, in the common areas, and level 15 and the rooftop of the commercial towers. The Green Heart is conceived by Ingenhoven Architects, and its verdant landscape brought to life by Kathryn Gustafson of Gustafson Porter and Henry Steed of ICN Design International. The “Green Heart” seeks to infuse the elements of rice terrace carved into hillsides, a Cloud Garden and will include a waterfall feature. These thematic areas serve to form an imagery of changing environments and habitats that is akin to one’s experience when ascending a mountain. Currently undergoing final touches and is expected to open to the public in 2H17, the Green Heart demonstrates the smooth integration of greenery in the core of Singapore’s CBD. 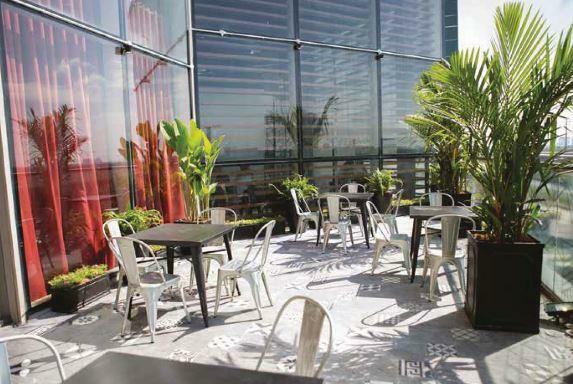 As the largest urban green sanctuary within Singapore’s CBD, it infuses leisure into a work environment for Marina One’s office tenants, residents and visitors. One Bangkok will be Thailand’s first truly integrated district to provide a people-centric, inclusive community that emphasizes environmental sustainability and smart-city living innovations and principles. The district spans more than 16 hectares and when completed, it will host a range of retail, office, residential, and hospitality elements across 1.8 million square metres. The USD 3.5 billion project is being developed by TCC Assets (Thailand) and Frasers Property (the international property brand of Frasers Centrepoint Limited from Singapore), both parts of the larger TCC Group led by Charoen Sirivadhanabhakdi. The project includes over eight hectares of greenery and open space, including a landscaped green promenade that is more than 40 metres wide, on both Wireless Road and Rama IV Road, that can be enjoyed as an extension of the city’s much loved Lumphini Park. There is also a landscaped civic plaza of 10,000 square metres at the heart of the district, forming the core of an art and culture loop and a natural venue for international events and Thai festivals. Smart common infrastructure is being planned, including district cooling, fully-centralized security, and energy management systems. As a fully integrated city-within-acity that will include civic areas, cultural and art spaces and each building will have a distinct identity and positioning. This gives the district a natural diversity in architecture, while retaining a common sense of community and seamless connectivity. More than 60,000 people are expected to work and live in the district on completion. At present, One Bangkok is expected to be Thailand’s first district built to LEED ND Platinum standards. With more than 500,000 square metres of premium Grade A office space built to LEED and WELL standards to be delivered through 2025, nearly 200,000 square metres of distinctive retail destinations and ample hospitality products, One Bangkok is positioned to become Thailand’s gateway to ASEAN. We expect that One Bangkok will quickly set new benchmarks and standards in the industry and has the potential to become Bangkok’s most sought after corporate address, attracting a multitude of domestic and multinational firms seeking to support their domestic and regional business operations. One Bonifacio is the latest highend mixed-use development located in Bonifacio High Street. The 1-km long street is the longest pedestrian mall in the Philippines, at the heart of Bonifacio Global City (BGC). 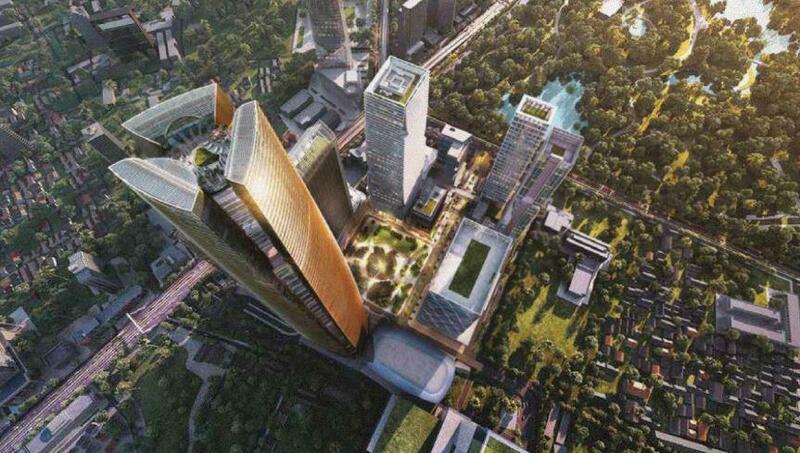 Developed by Fort Bonifacio Development Corporation and Ayala Land Inc. in partnership with the ShangriLa Group, One Bonifacio has an office building with 35,000 sqm of gross floor area. The building enveloped in a 100% glass façade, will house the new headquarters of the Philippine Stock Exchange, along with other top local companies and MNCs. This cements BGC as the next premier CBD, second to Makati in Manila. 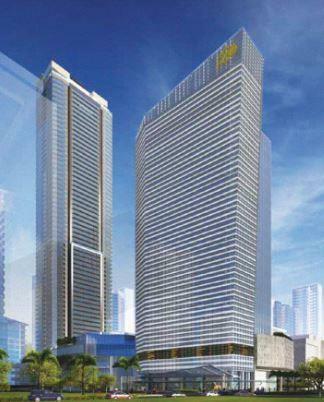 The project also includes Ayala Land Premier’s luxury condominium development, The Suites. 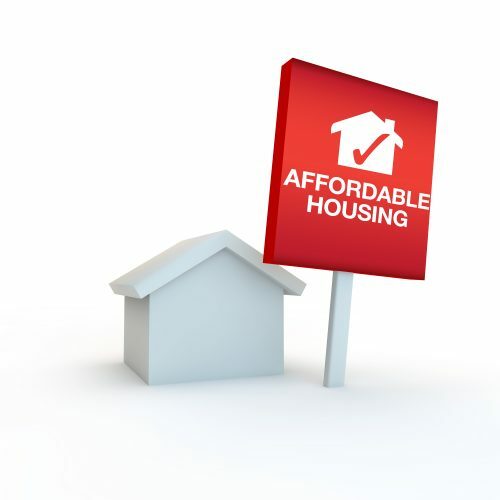 There are 298 residential suites ranging from 2BR to 4BR unit types coupled with luxurious amenities. The office and residential developments of ALI will be complemented by One Bonifacio High Street, a lifestyle mall which will house global fashion brands and an array of new and exciting dining destinations. The hotel development, Shangri-La at the Fort, Manila, is developed by the Shangri-La Group. It comprises 576 guestrooms and suites and extensive dining and banqueting facilities; hotel residences ideal for long-staying guests; 98 spacious and exclusive Horizon Homes’ residential units that are available for private ownership; Kerry Sports, a 10,000-sqm of the largest indoor lifestyle and leisure club within the city; and a specially curated retail podium. 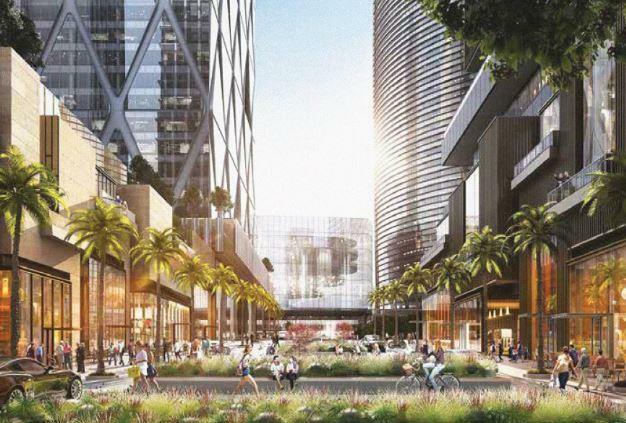 An 800-meter long and 40-meter wide landscaped central spine interconnects the mixed-use development to the other blocks creating a pedestrian-friendly environment within BGC’s City Center. (picture source) Ayala Land, Inc.
Building on its 31-year legacy as the definitive IT mall in Singapore, the redevelopment of Funan, which is due to be completed in end-2019, initiates a stronger shift in focus towards being a lifestyle destination that fully incorporates within it a new paradigm of live, work and play. The retail, dining and lifestyle podium spans across six storeys and will be the first in Singapore to feature cycling lanes through the mall. Occupying more than half the integrated development’s GFA at 500,000 sq ft, the podium is poised to embrace the experiential factor. The developer CapitaLand Mall Trust plans to drive retail innovation by acting as a nurturing ground for up-and-coming retailers and it will include incubator and showroom spaces as part of the mall’s “Passion Clusters” to allow shoppers to immerse fully within their interests. As Funan’s design centrepiece, the multi-level “Tree of Life” that extends from Basement 2 to Level 4 will incorporate open pods that welcome local designers and artists to produce and promote their craft. Above the podium sits three towers, including two six-storey premium Grade A office towers (GFA 266,000 sq ft) that will consist of both smart office space and innovative studio components in the Northern and Southern tower, respectively. The third tower will feature a nine-storey block that will house 279 coliving apartments with GFA of 121,000 sq ft.
Funan’s design concept will also spearhead the first-of-its-kind open studios platform made for creative collaboration. A mobile-first digital smart system will overlay the physical building with smart building technology to improve productivity, energy efficiency and the overall security of the building. With its permeable streetscape and flexible spaces, Funan aims to be a one-stop creative hub for the techand sociallysavvy where they can unwind and connect with like-minded people. SM Prime Holdings is currently expanding one of its flagship developments, the SM Mall of Asia, as part of its goal to transform the mall into an integrated lifestyle centre that caters to the young and their preferences. 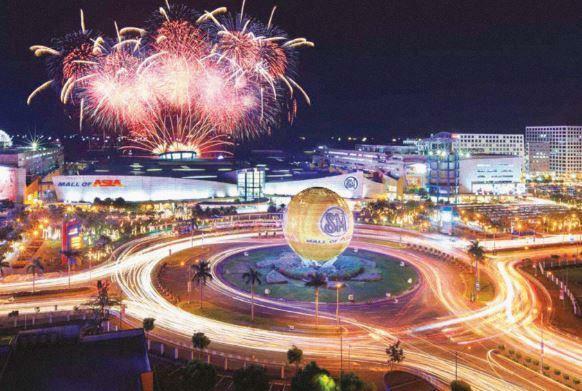 Mall of Asia was opened to the public in 2006 on a 60-hectare reclaimed land in Pasay City, with an original floor space of more than 400,000 sqm GFA. The additional features of the mall, the introduction of which commenced in 2015, will add approximately 270,000 sqm to the existing GFA. The new expansion’s roof deck wil house a football pitch conforming to FIFA standards for World Cup matches, designed by Miami-based firm Arquitectonica. The Acapulco Manila Galleon Trade Museum, will also complement the retail mall expansion, and will feature the centuries-old trading history of the Philippines with Mexico. Apart from these, the SM Mall of Asia will also feature a rooftop botanical garden which will offer an unobstructed view of the Manila Bay and a theatre for performing arts. An Olympic-size ice skating rink, a food hall, and the H&M flagship store with GFA of 3,000 sqm will also be opening in SM Mall of Asia. 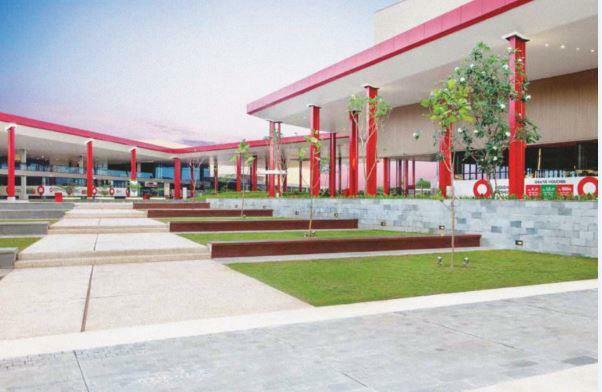 Q-Big retail complex, in BSD, offers around 70,000 sqm of leasable space on 17.5 hectares. 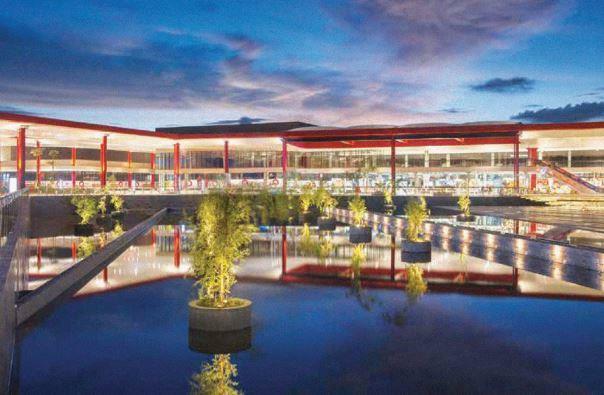 Designed as a one-stop shopping complex with anchor tenants, such as home centers, furniture stores, building material suppliers, hypermarkets, premium outlets and sport and entertainment facilities – it is more than a typical shopping mall. Singapore architecture firm, Broadway Malyan, focused on the concept of urban and green with sustainability coupled with convenience cited as key features. Q-Big boasts a ‘mini-forest’ and fishpond with a grassy expanse and benches to encourage visitors to stay for longer than just a shopping trip. Construction began in early 2015 and Q-Big was operational by the end of 2016. 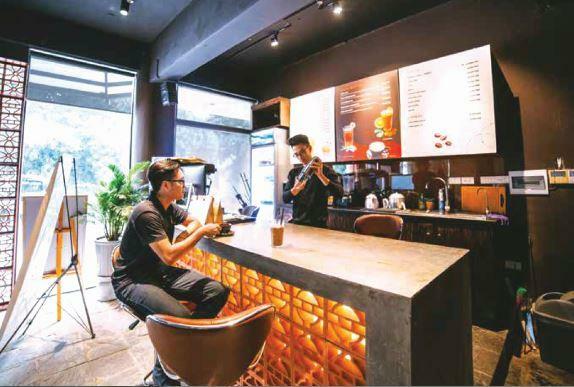 The growing young entrepreneur community in Vietnam in the last few years has brought with it the need for a new working place concept – a shared working space – where entrepreneurs can access a network of other motivated and interesting entrepreneurs. Toong is the first, the largest and the most happening coworking space chain in Vietnam now. It is blending the features of working in an office, café, and home, partnered with outstanding club atmospherics. Toong was founded in 2015 and is the first outlet opened at Trang Thi, Hoan Kiem District, Hanoi, in August 2015. 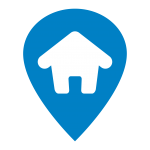 Located in the heart of the city, it aims to become a community of like-minded entrepreneurs and mobile professionals. Toong has quickly become well-known and a strong community spanning different sectors has been rapidly built up with a series of monthly activities and events. As at the end of March 2017, there are five Toong outlets operating across the country (three in Hanoi, one in Danang and one in Ho Chi Minh City). Different from other co-working space chains which target particular categories, Toong’s strategy is to develop a diversified community to nourish interaction and build sustainable development. It provides a wide range of facilities and services from international standard office services, an outdoor smoking area, bar and pantry, games room, to an art gallery and a meditation room. Innovation with tradition is Toong’s interior design DNA. Every space has a different modern working ambient while consistently celebrating the local heritage.